In So Far So Good, a master of the science fiction genre, Ursula K. Le Guin gathers poetry written in the final years of her life and leaves us a valedictory collection rich with wisdom. Here Le Guin paints images of wind, rain, seasons, sleep, darkness, old age and death—across seven sections—and with an omnivorous sense of language, music, and curiosity for the world. The poems are sonorous and spellbinding––flowing with a lingering cadence that echoes deep within the reader. 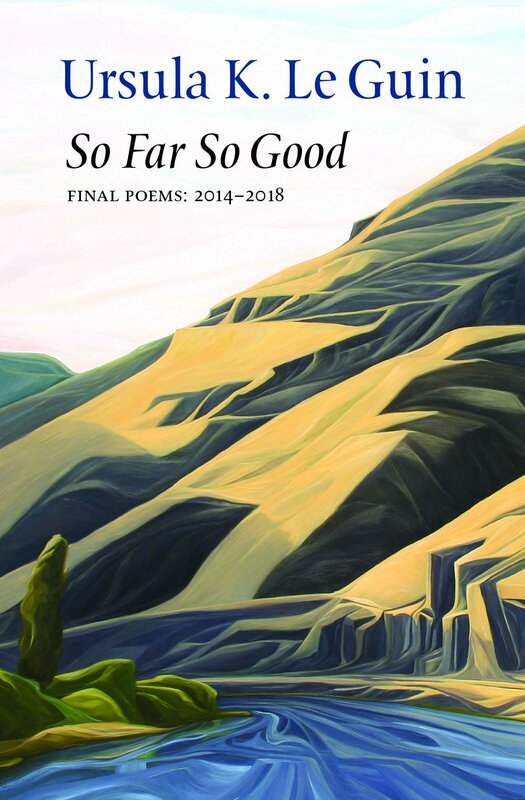 Each poem within So Far So Good is a journey that beckons its readers to set sail, to pay attention, and to flutter in the wind. Le Guin finds delight in the dark mysteries of life and conveys her own experiences with a kind of urgency. Her poems root themselves in the natural world to incite inner transformation: “The world may be as it used to be / but I am altered, I the eye that sees / all half known, half strange as if newborn / and fresh to its mortality.” Just so, Le Guin’s So Far So Good guides us, with dreamlike imagery, through the waters of mortality.